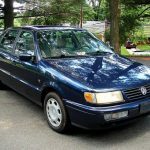 YOU ARE BIDDING ON A 1996 PASSAT TDI SEDAN WITH THE B4V MOTOR – BEST YEAR ! 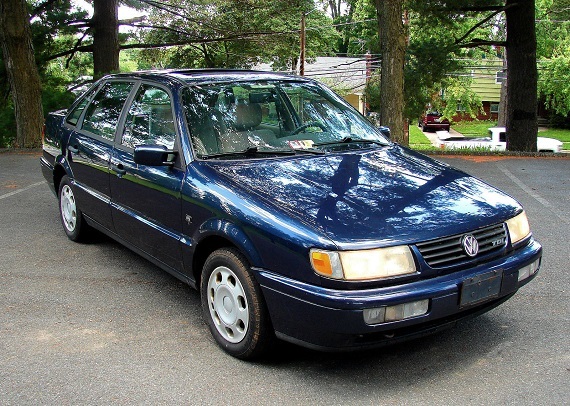 THIS VW PASSAT TDI HAS THE B4V MOTOR (PRE SCANDAL) KNOWN AS THE BEST TDI AND THE BEST BODY/YEAR. BUILT ON A AUDI SOURCED PLATFORM. 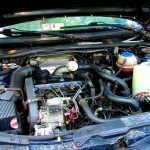 THE MOTOR RUNS VERY GOOD – CONSISTENTLY GETS MID 40’S MPG AVG. TRANSMISSION SHIFTS PERFECTLY AND CLUTCH IS STRONG. BODY IS ALL ORIGINAL – PAINT LOOKS GOOD AND NO MAJOR RUST ISSUES – A FEW SMALL SURFACE SPOTS ON THE DOORS. INTERIOR IS GOOD CONSIDERING THE AGE. NICE ALPINE CD PLAYER. POWER WINDOWS, POWER SUNROOF. TIRES HAVE APPROX 70%TREAD. ODOMETER READS JUST 39K MILES BUT TITLE INDICATES THIS IS NOT ACTUAL MILES. SOLD TRUE MILES UNKNOWN. WILL NEED A NEW MUFFLER OR TAILPIPE. I PERSONALLY DROVE THIS CAR FOR THE PAST YEAR REALLY ENJOYED IT – RIDES VERY NICE AND SOLID. THIS CAR IS WAY ABOVE AVG. 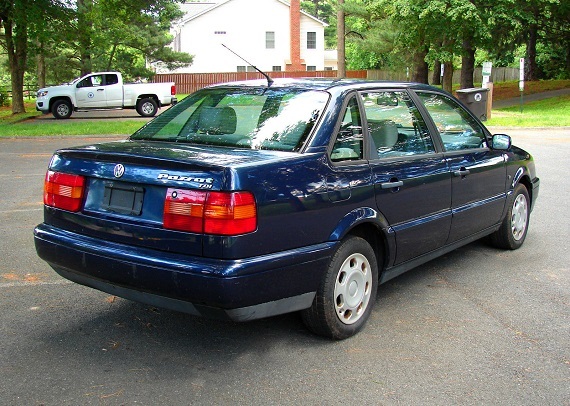 IN OVERALL CONDITION COMPARED TO OTHER 1996 PASSAT TDI’S I HAVE SEEN. I AM SELLING THIS NICE TDI IN A REAL NO RESERVE AUCTION. GOOD LUCK BIDDING ! THIS IS A NO RESERVE AUCTION. HIGH BIDDER WINS IT. LETS KEEP EBAY A GREAT PLACE TO BUY AND SELL !!! Payment Types Accepted: We Paypal OR credit card by Paypal for the deposit only! Balances must be paid by Certified Check, bank to bank wire transfer, or Postal Money Order. These are the only accepted forms of payment. Please do not pay in full using PayPal! We also require that you have a Paypal account to place a bid. We do this because the additional identity verification processes for Paypal greatly increases the success rate and the integrity of an auction. and handling that would otherwise be covered with a set asking price. WE ARE NOT A SHIPPING COMPANY SO ASKING US FOR A SHIPPING QUOTE WONâ€™T GET YOU AN ACCURATE ANSWER. WE HAVE HAD EXCELLENT LUCK WITH ATS AUTO SHIPPERS . YOU CAN GET A QUOTE AND GREAT SERVICE FROM THEM AT 214-483-9029 ASK FOR DANIELLE. 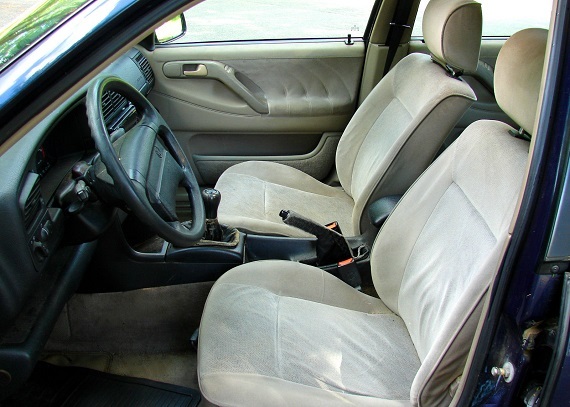 ABOUT OUR DESCRIPTIONS & VEHICLES First off, the cars we list average 17 years old! 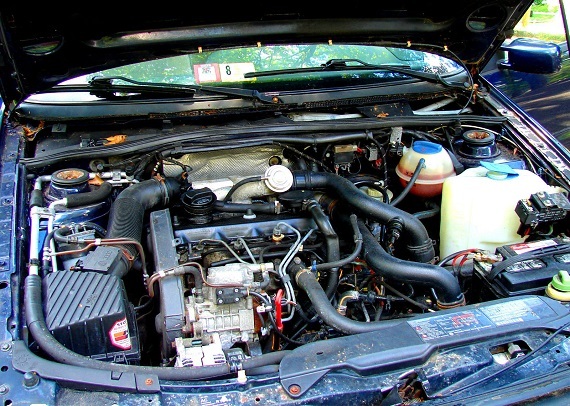 Our descriptions are based on our basic inspections of the vehicle. Descriptions of cosmetic condition are based on our opinion of what we see & may differ from your opinion. Ebay vehicle purchase protection is included on all transactions completed through Ebay. All vehicles sold “as is” and we do not warranty any vehicle to pass a state inspection in any state unless noted otherwise in the auction description. 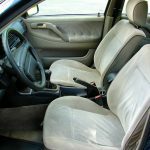 Our descriptions, including vehicle features, are listed as accurately as possible, although we are not responsible for typographical errors in the listing or for conditions that occur after the listing is up. Please use common sense when determining if you will drive your new vehicle home. We do our best to accurately disclose all issues, but we have no way of knowing if anything will fail during a trip. Buyers assume all liability for issues that may occur. I have been selling on Ebay for over 12 yrs and maintain a 100% positive feedback rating – bid with confidence. Okay, so my theoretical visits to the pump fun is ruined by the odometer discrepancy, but at least externally it certainly appears this Passat has far less than average miles traveled. 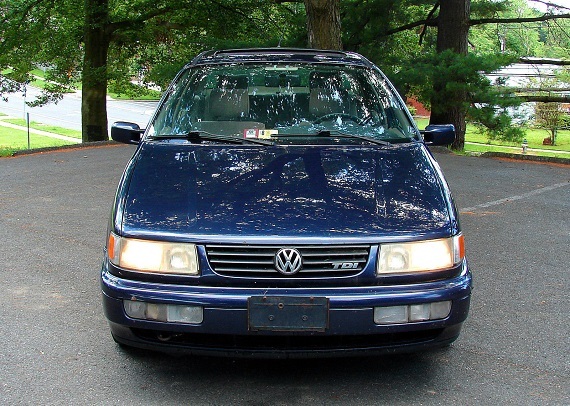 The Windsor Blue Metallic paint could shine a bit more with some work but looks good overall, and some simple VW centercap stickers would dress up the wheel covers for a few dollars. Inside the cloth shows the most age but isn’t horrible looking, and if you’re clever you could track down some replacement seats or just recover what is there. The seller does make some obvious mistakes; the “B4V” title doesn’t reference the motor type, but the aforementioned and enthusiast loved Variant model of the B4 chassis. That B4 chassis, also unlike what the seller claims, is not Audi derived but mostly Mk.2 Volkswagen – this is basically a big Golf underneath, as was the B3. While there are some who like the later 1Z or AHU motors better, there are also plenty of fans of the early 1Z and the TMU status and lack of information about recent services like timing belt hasn’t slowed down bidding much. 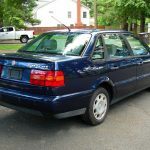 Despite being a generally less sought after sedan, the generally good condition has already resulted in bidding that has already crested $4,000. These early TDis aren’t known for the best build quality or driving experience, but have become quirky fan favorites in spite of their shortcomings. The new owner will just have to make sure to hit the bathroom before twisting the key, because you’re more likely to fill up before this car needs to. 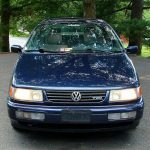 Tagged 1996, 1Z, B4, diesel, Passat, TDI, turbo diesel, Windsor Blue Metallic. I’ll pay this wankster’s $200 document fee, but I will be charging him $200 for the paperwork I have to do — and I will do it in ALL CAPS. According to carfax this car had 142k miles in 2005. 5.5k miles were recorded in 2011, six years later. There must have been around 200k on the odo before the cluster was replaced. You do the math. Unfortunately the car was always in “salt states”.